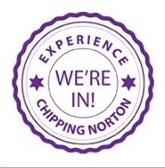 Rob Evans is the new Chippy councillor on West Oxfordshire District Council, following yesterday’s local elections. Rob gained the seat for Labour & Co-op with 966 votes. The only other candidate, Patrick McHugh for the Conservatives, standing for re-election, received 644 votes. Turnout was 34.54%.